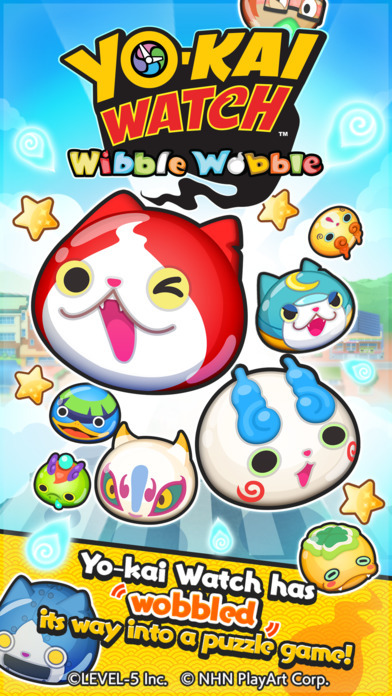 Home #CUTE YO-KAI WATCH Wibble Wobble – What!? This game is for mobile? 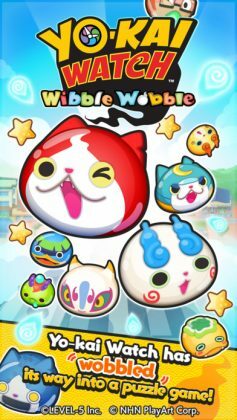 YO-KAI WATCH Wibble Wobble – What!? 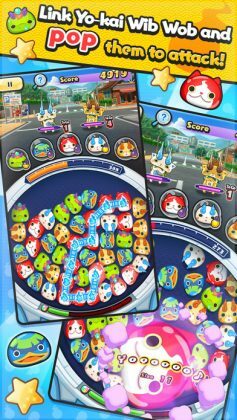 This game is for mobile? Every once in a while there is a game that is just so out of this world you simply can’t resist but play it! Today we’ve got a game most players will agree is simply insane! Based on the simple concept of exploring your “Yokai” infested town, your mission in this game is to battle new and exotic Yokai by “Matching Up” and “Popping” your own Yokai “Wib Wobs” in order to charge your Yokai power and attack. 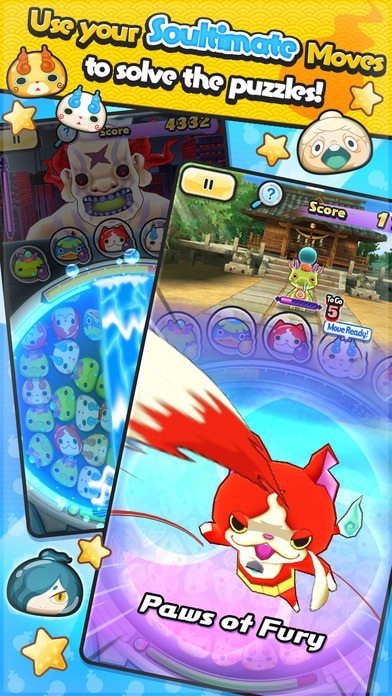 Once defeated, Yokai will sometimes, (not always), ask to make friends with you, allowing you to grow your party and explore further throughout each Map. 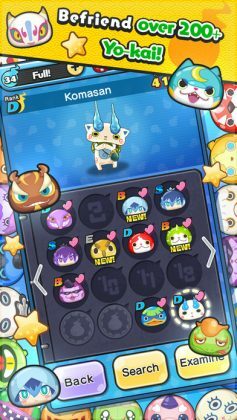 The more “Wib Wobs” you collect the more Yokai combinations you can try out, ultimately strengthing your team in order to take on stronger and stronger opponents. 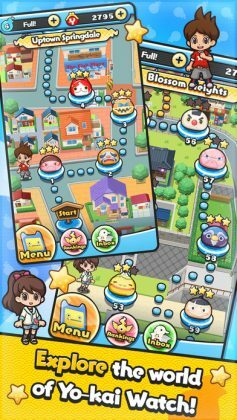 If you loved, (or still love), playing games like the classic Pokemon, which revolve around a central system of catching, training, and battling monsters, chances are this is the highest quality game currently available for your smartphone. 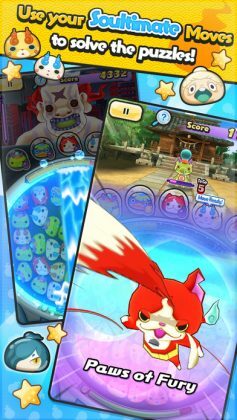 Ready to train the strongest party of Yokai ever seen? 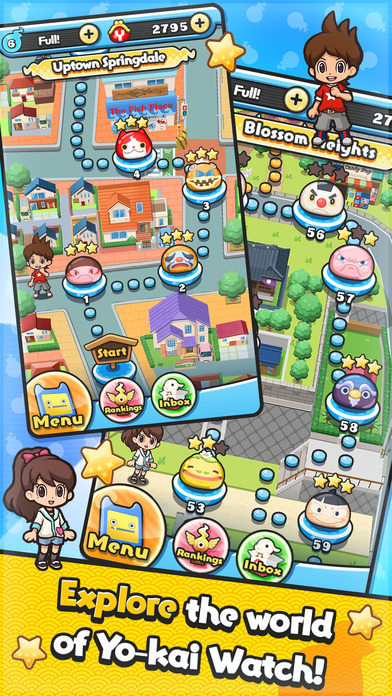 If so, this is a game you seriously need on your smartphone!